From the cold North to the warm hills of Charente, Southwest France. Cognac is popular in Scandinavian countries, somehow those people are totally in love with Cognac. Producers like Bache Gabrielsen, for example, have been in Cognac for more than 100 years. Their largest markets are Norway and othe ther Scandinavian countries. There are some quite important medium-sized Cognac players which are actually related to Norway, such as Larsen, Braastad, Otard or Jenssen. Norway is one of the top cognac-consuming countries in the world. Norwegians consume the most cognac in the world – per person, in relation to the population. 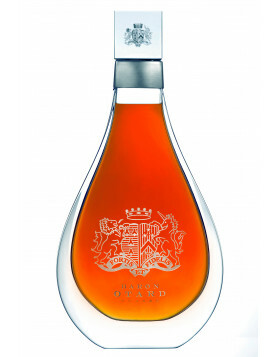 The economic crisis affects the market for luxury products – Cognac is obviously a part of that. Exports to Norway went down lately by more than 20%, the biggest shift in the TOP 10 Cognac buying countries. Still, Norway is no. 8 of the Top 10 importing countries (figures from 2010). The only country, that imported more Cognac than in 2008, was Hong Kong. We had the opportunity to exchange with a Norwegian Cognac connoisseur. He really gave us interesting insights and a better understanding about Cognac culture in Norway. 1. Why did Norwegians settle in Cognac in the first place? “One of the reasons was that they were looking for adventure. They also had a strong wish to make a living, and to build new careers. That was in the end of 1800. During this century, thousends of norwegian left Norway. Most of them had America as a destination. Why? Because the times in Norway were hard, people were poor and everybody thought America would solve all problems. These people were looking for work – and mainly for a more descent way of living. But Larsen, Bache-Gabrielsen and Braastad decided to go to France. They had a huge advantage, since they came from rather rich and wealthy families. 2. Why were Norwegian Cognac producers so successful? “They had success because at this time it was a huge need of foreign people who could speak foreign languages. The cognac industry is totally depending on export. And they were in a need of people who could take care of their interests in other countries. I would also say that Norway had, and still have, a strong national-feeling, and this made it easier to sell cognac with norwegian names. The norwegians in Cognac at this time had also good connections to Norway, and since we got gouvermentcontrolled shops, (Vinmonopolet), which sold alcohol in the 1920ths, it’s obvious that they had an advantage due to get their products in these stores. 3. Why is Cognac so popular in Norway? a) We have traditonally been drinking the norwegian “akevitt”, which is based on potatoes. 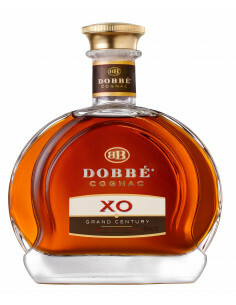 When cognac was introduced, maybe people found it a bit “sweeter” and more delicious. b) We have increased our wealth and now we can afford to buy more expensive alcohol than earlier. 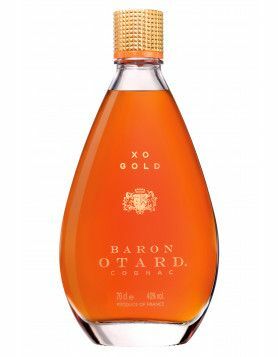 In the beginning of the 90s, Bache-Gabrielsen launched an XO Cognac which was remarkable. And even cheaper than the products of the big companies such as Rémy Martin, Courvoisier or Martell. It became a success and maybe helped to increase the interest for cognac. 4. What’s that bounding between the Norwegian people and the Charentais all about? “The Norwegian Cognac companies have always been very interested in Norway as a market,and therefore it has been in their interest to be in contact with Norway and the Cognac drinkers here. They vist Norway quite often, give interviews and also visit local Cognac clubs when they have opportunity. Christian and Hervè Bache-Gabrielsen came to Norway in 2005 to celebrate the 100th anniversary of the company. They had also made three bottles of cognac for this occasion. This Cognac was shared on a meeting in Holmestrand in June. I have one of them. And these happenings are of course important for the Cognac houses to make people remember Cognac. Norwegians are also very welcome in the region of Cognac. Something which I have experienced myself. I’m coming to Cognac in about a week or so, and the norwegian houses have been very helpful and cheering. Actually, not Dupuy, (this company was founded in 1852) but Thomas Bache-Gabrielsen were from my hometown. Their familyhouse still exists here. The house is located in the centre of the small city. About 10.000 people live here. It has been the library in the city for many years, and before that, it was the wine/spirit shop in Holmestrand! And that it is a bit funny. That the house of a cognac-brand founder became a alcohol shop. During the period in the 1920s we had a alcohol prohibition in Norway. But it was allowed to sell Cognac for medical use. As a result of this, Bache Gabrielsen marked their VS with three red crosses – that made it easier to be allowed by the gouverment. Cognac was then used as medicine for almost anything. Coldness, broken leg, warts, to get pragnant, not to get pragnant – you name it. The little brother of Cognac: What is Pineau? How is it made? What ever happened to the Poker Cognac? Amazing, how active the Norwegians were in France. By the way, regarding the stats: Singapore is the 2nd biggest market of Cognac? With almost 18 million bottles or what is that number supposed to mean? Hi Paul! Yes it’s in million bottles, that is correct. 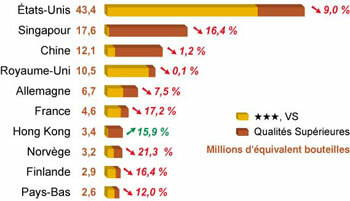 There will be an article soon about the econonmy of Cognac in general, including all the statistics and figures.